Clients of the Peterson Law Offices are happy to tell you what they think! …to protect their rights and maximize their claims. Todd Peterson has been a personal injury lawyer in Portland since 1991. Don’t wait. We can help! Let us handle your personal injury settlement while you recover. We can help maximize your claim. Did You Get in a Car Accident? Have you been injured in an Oregon auto accident or Washington car crash as a driver or as a passenger? With over 25 years of experience as an auto accident attorney I’ll get you all the money you have coming. Have you been a victim of a dog bite attack in Portland OR or Vancouver WA? I’ve been an experienced Oregon and Washington dog bite lawyer for years, and can help you maximize your dog bite claim. Have You Been Hurt on a Bike? Have you had a bicycle accident caused by someone’s negligence while they were driving a car or truck? I’ve helped hundreds of people with their bike accident cases in both Oregon and Washington state. Call now 503-280-0888 for a free consultation! Todd Peterson, a Portland personal injury lawyer, has recovered millions of dollars of claim money for his clients since 1991. For example, he recovered over 35 million dollars for his clients in the 10 years between 2005 and 2015. Have you been injured in an Oregon auto accident or Washington car crash as a driver or as a passenger? Have you suffered the death of a family member? Have you been a victim of a dog bite attack in Portland OR or Vancouver WA? Are you tired of rude insurance adjusters who put you down or don’t return your calls? If you said yes to any of these questions, let us put our experience and training to work for you to get you the injury settlement you deserve. Read an Oregon Personal Injury lawyer’s opinion about hidden injuries so you don’t get broadsided by the insurance company. Don’t talk to anyone until I tell you how to protect your rights! If you have been injured in an automobile accident or other personal injury accident, this is a tough time for you. Let us put our experience and training to work for you to get you the injury settlement you deserve. Todd Peterson is the principal of Peterson law Offices, a Portland law firm. He has been a personal injury lawyer in Portland since 1991 and has represented Washington injury cases since 1994. 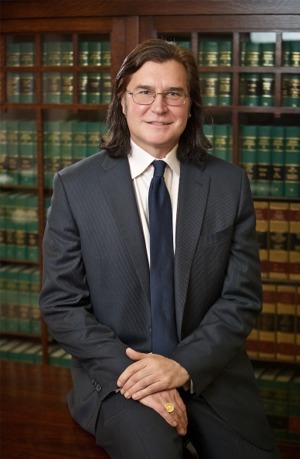 His firm has helped thousands of clients get the most money that is allowed by law for their personal injury claims. He knows how to protect your rights and maximize your car accident or other injury accident claim. Let us handle your personal injury settlement while you recover. Annoyed with the insurance company trying to low ball your car crash claim? We know what the claim is worth and how to get the most money for your pain and suffering. We hear it over and over again. Someone will call us often and say that they have settled their claim for pennies on the dollar, often for a tiny fraction of what we quickly estimate their auto injury accident claim is worth in pain and suffering compensation. They have signed off and it is too late. Don’t let this be you! Time is of the essence! There is a statute of limitations that is different for Oregon and Washington state. Make sure you don’t pass the deadline to recover money for your auto accident claim. Who will pay my injury bills? Do I contact my insurance? Their insurance? Should I even talk to them? How do you receive lost wages in a car crash injury claim? What is PIP and how much is there in my state? Do I meet with the insurance agent? Do I need to file an accident report with the DMV? What if I don’t have car insurance or it was just cancelled? Can I get money if I don’t have a valid driver’s license?